A core part of any successful SEO campaign is a functioning backlink strategy. Although Google’s algorithms have become more sophisticated over time and now include a variety of factors that impact rankings, backlink quality and quantity are still a major ranking signal. Professional SEOs often have a “tool bag” of link building tactics they can rely on to consistently acquire backlinks. 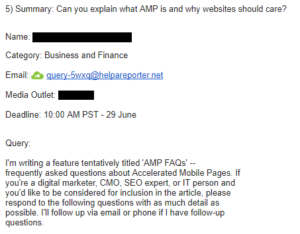 A useful tool bag tactic for us at MWI that we’ve had a lot of success with is getting backlinks with helpareporter.com (also known as HARO). 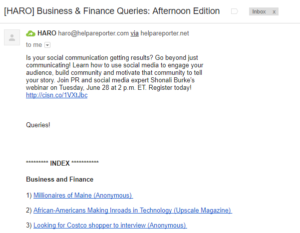 HARO is an online platform that helps journalists find expert sources to quote or reference in their articles. It helps writers save time on sourcing and gives them to access a wider range of experts all across the world. In return, sources who are quoted receive publicity for themselves or their businesses. This publicity often takes the form of a link to their website or social media page. A backlink from any of these publications can pay huge dividends in increased domain authority, traffic, and ultimately search rankings. And because journalists who rely on HARO for sources are often working on a time crunch, being chosen as a source means your quote and backlink could be live in a matter of days. Also, it’s so simple to get set up using this platform that there’s no reason to not at least experiment with this tactic. To get started, you’ll have to go to www.helpareporter.com and get signed up by creating an account. On the homepage choose to join as a source. If you have journalistic ambitions, don’t fret; you can always choose to change your account to the “Reporter” type later on. Now you’ll have to choose what membership level you want to start with. Because you’re just getting started out with HARO, go ahead and get the free membership. 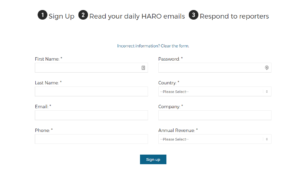 A paid membership to HARO offer some great features and added conveniences. But you should be able to get some great results without upgrading just yet. Next, you’ll need to fill out some basic information. 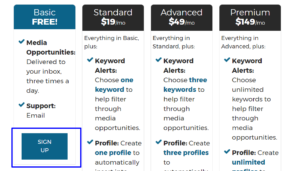 Just like the account type you choose in the first step, you’ll be able to edit these details later. These are you subject preferences. 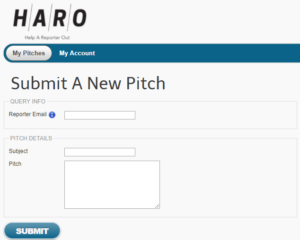 HARO will use your choices here to determine what opportunities to send you. For SEO and marketing-related opportunities, we’ve had the best results at MWI with the “Business and Finance” category. Choose the best fit for your company’s goals or industry, but don’t be afraid to experiment with other categories. 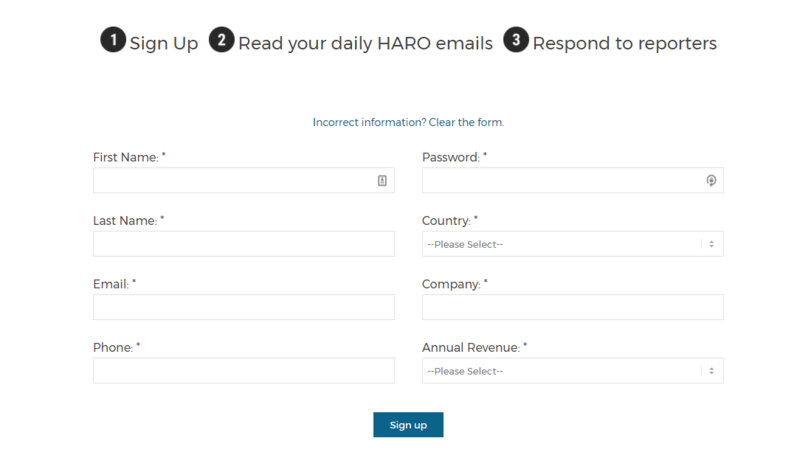 Like most of your account details on HARO, you can change these at any time. 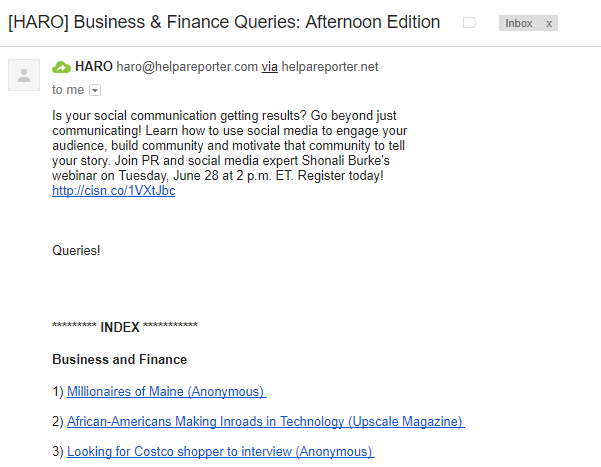 Now that you’re all set up, you should receive an email from HARO that lists a few dozen opportunities to be a source. These come in three batches a day—one each for the morning, the afternoon, and the evening—so you may need to wait a bit before receiving one, depending on what timezone you’re in when you signed up initially. Scroll down to the index to see if any of the topics or publications catch your eye. Clicking on one will take you down the email to more information about that opportunity. Tip: You can just hit “ctrl+F” (or “cmd+F” on Mac) to search for keywords that are related to your business to save time sorting through all the opportunities manually. Aside from the potential for a backlink, how will I benefit from being a source for this media outlet? Am I okay with being associated with this media outlet? What are the domain rating and traffic volume estimates for this media outlet? Next, take a look at the deadline to make sure you can respond in time. Keep in mind that reporters are a busy bunch; speed matters, and there’s definitely a “first come, first served” bias when it comes to choosing sources. Submitting a response as early as possible—regardless of the deadline—can go a long way towards increasing your odds of being chosen as a source. Last, read the instructions for what the journalist needs very closely. Try to think from their perspective. They have tight deadlines, so they’re looking for sources that make their jobs easier. They’re not going to spend a lot of time following up with you to get a better response when they can just ignore your submission and go with the next one.But if you follow all of their instructions and fulfill their requirements as closely as possible, you stand a much higher chance of making it into the final draft. Tip: This ultimately means that you need to put the journalist and their story’s needs first. Try not to think of it as an opportunity to promote yourself, but as a way to help enrich the journalist’s story. I guarantee you’re much more likely to get chosen as a source that way, and you also increase the likelihood of being featured in a different article by that same journalist down the road. Now that you’ve identified a great opportunity to be a source, all that’s left is to submit it. 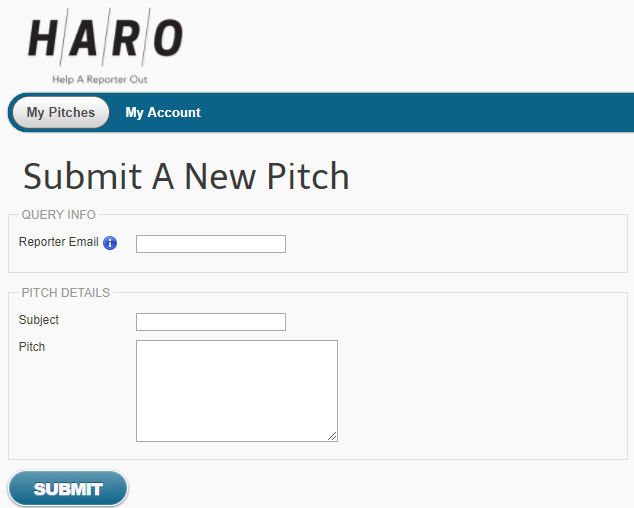 Head over to HARO, log in, and click on the “My Pitches” button. Place your response to the reporter’s instructions in the “Pitch” section and wait to hear back from them. If you’re lucky, you’ll have a shiny new backlink for your website within a few days, although it can take longer, depending on the editorial calendar of the publication. 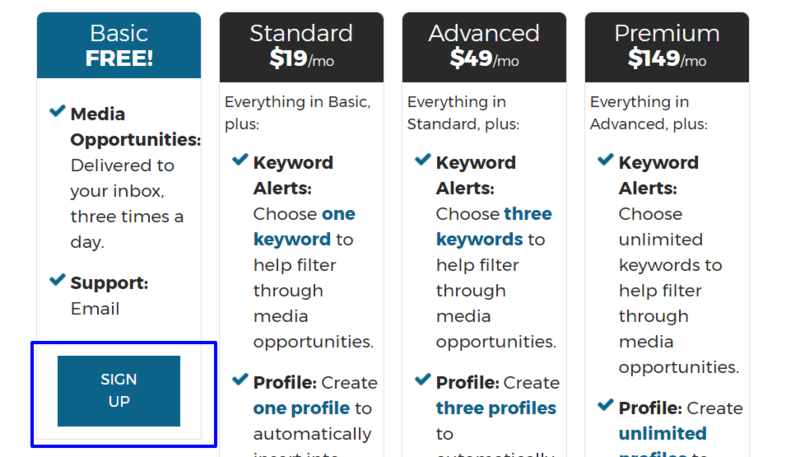 That’s our take on getting started using HARO to get backlinks. It can be a time-intensive process, at times, but it’s one of the best ways to passively build links over a longer period of time. 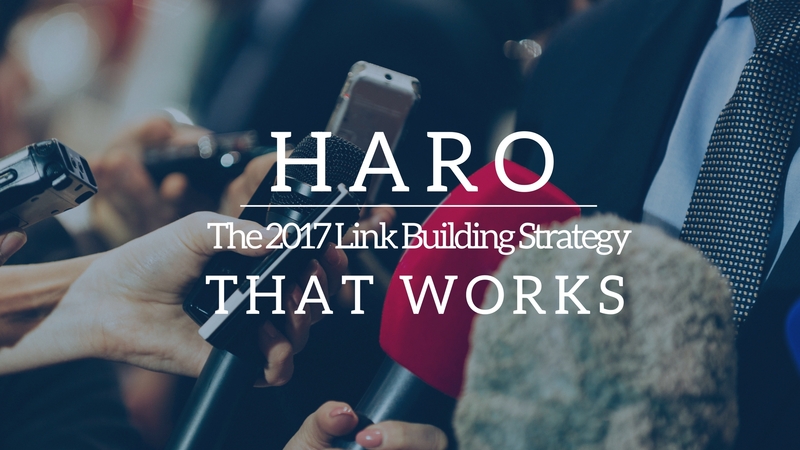 Have you tried using HARO as part of your link building strategy? Got any tips on getting the most out of this platform? Leave them below in the comments!